Hello. This report was sent to me from Mary's Meals. I wanted to share it with all of you that have supported the children of Lirangwe. 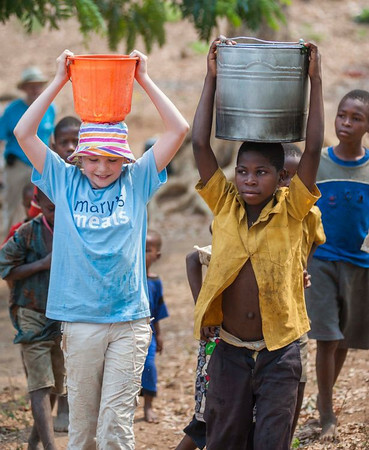 Mary's Meals is also taking part in International School Meals Day. Please read it. It's brilliant. Your school, Lirangwe Primary, is located in the southern city of Blantyre, Malawi. Blantyre is Malawi’s second biggest city and is Malawi’s commercial and financial centre. Despite this, many of its inhabitants still live in extreme poverty. The city is named after the Scottish town Blantyre which was the birthplace of the famous explorer David Livingstone, who established many missionary churches and schools in Malawi and particularly in the Blantyre area. Blantyre is a gateway to many Africa countries and has air and bus links to Mozambique, Zambia, Tanzania and South Africa. Blantyre has many bustling market places and many Malawians travel long distances to the city to stock up on food and clothing. Your school currently has 2020 children enrolled, of whom there are 986 boys and 1034 girls. The children range from Standards 1 – 8 (Equivalent to Primary 1 – Secondary 1 in Scotland). There are eleven permanent classrooms at Lirangwe and your kitchen will be able to double up as an extra classroom when it is not being used for feeding. Due to lack of indoor space, some pupils at Lirangwe are taught under trees and at a local centre nearby. The children are taught by a total of twenty teachers. The school’s water source is a borehole in the school grounds. There are sixteen pit latrine toilets on site which are equally shared between the boys and girls. Lirangwe has netball facilities and a football pitch and the pupils play regular matches. 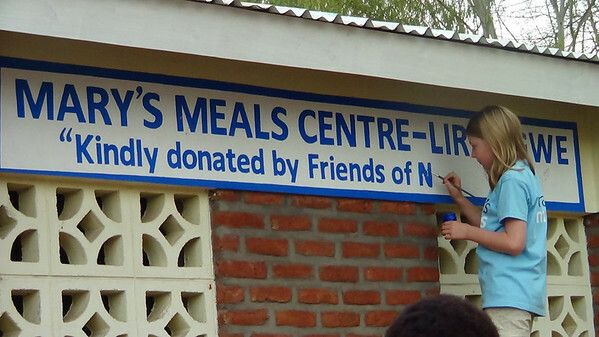 Mary’s Meals is initially organised by the school’s head teacher, who then meets with the school’s committee and people from the surrounding neighbourhood. A team of volunteers are then drawn from the local community. Volunteers are split up into teams and each team takes a slot in the rota to cook the school meals. At Lirangwe, many of the volunteers are parents of the children at the school. Volunteers often arrive at the school as early as 5am to fetch water, get the pots ready and start cooking. A vat of porridge takes about three hours to cook on a rocket stove. The porridge is then put into buckets, before serving, to stop the children crowding around a hot stove where they could get burned. The Likuni Phala porridge is then served to long queues of children all eager to get their daily Mary’s Meal. Typically, schools in Malawi begin serving their Mary’s Meals at around 9:30am each day, feeding the youngest children first (Standard 1). After serving, the volunteers stay on to wash the pots and put away the stoves. The entire process normally finishes at about 2pm. Mary’s Meals cooks take on a big commitment and the whole system would not be possible without the dedication of our volunteer cooks. All children in Malawi are entitled to free primary education. Children are allowed to start Primary School at the age of six. There are eight years of Primary School – referred to as Standard 1-8. To get into the next class level, children must pass end of year exams. This means there can often be a wide age range in each standard. Entry requirements for secondary school are based on children’s results in their final Standard 8 exams. For many schools, the introduction of Mary’s Meals has seen senior pupils gaining a place at secondary school for the first time ever and more and more children are winning scholarships to pay their secondary school fees. For those who don’t go on to secondary school, the level of education pupils get at Primary provides them with good employment prospects by equipping them with good levels of literacy and numeracy as well as life and agricultural skills. The daily meals provided by Mary’s Meals allow children to attend school every day, rather than work or scavenge for food, greatly increasing their chance of finding a good job and a brighter future. 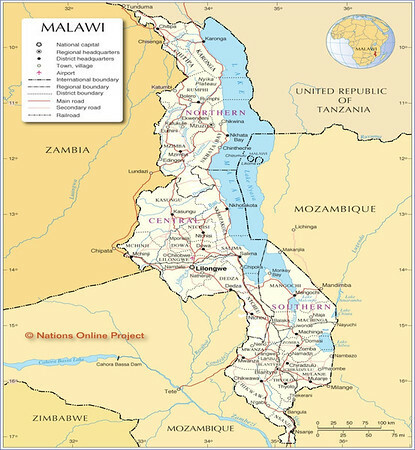 The two national languages in Malawi are Chichewa and English. Children in Standard 1-4 are taught in Chichewa while also learning English. In years 5-8, they switch to lessons in English, with the addition of classes in Chichewa. The curriculum includes English, Chichewa, Maths, Life Skills and Agriculture. The impact of Mary’s Meals can be seen upon examining Lirangwe’s enrolment rates. Enrolment at the school, in 2011, was 1600 pupils, which is made up by 700 boys and 900 girls. The most recent enrolment figure is 2020 children (986 boys and 1034 girls). Every single one of the extra 420 pupils has been able to benefit from a daily school meal. It is fantastic news that Mary’s Meals at Nawita enables more children to go to the school and receive the high standard of education provided there. Your feeding and kitchen sponsorship at Lirangwe means that some of the world’s most vulnerable children need not go hungry and, through education, now have the opportunity to have a bright future. On behalf of everyone at Mary’s Meals, and especially from all the children at Lirangwe Primary School, we would like to extend our very warmest thanks for sponsoring the kitchen and feeding at your school. What you have doing for these children is truly life changing – thank you! Thanks for posting that Martha - very interesting to see that the number of pupils has increased. That is spectacular! Veg, you are such an inspiring young lady. 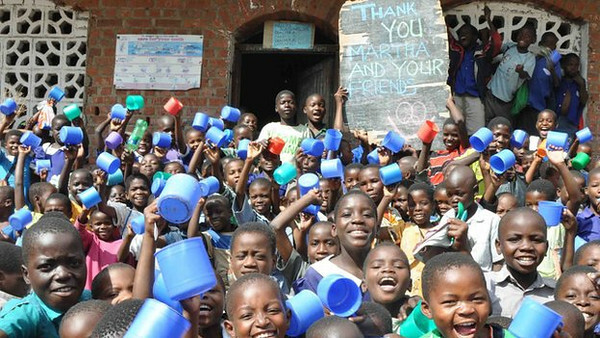 It's incalculable how many lives you have touched with your blog and donations to Mary's Meals. 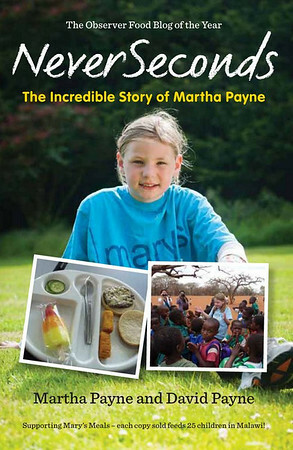 I read about Martha in Muse magazine and I liked how her lunches changed from bad to good! Dear Martha, WOW! I hope that you feel really good about what you have done and the number of lives that you have touched. The fact that your kitchen is feeding so many children and enabling them to go to school and learn is truly inspiring. Thank you for caring and for doing what you have done to make a difference. A really nice update from Lirangwe Primary School, let us just make sure that OUR school is always sponsored, along with funds raised going to other Mary's Meals projects around the world. Together we can make a difference forever! I agree, WDV. Since Veg's blog took off, I've been more than a bit worried that a lot of the donations may have been one-time gifts. But this is not just a one-time endeavor. Once we've started feeding the children at this school, we need to make sure we continue to do so. And this is not up to Veg, herself. The kitchen is not "Veg's" kitchen or "NeverSeconds" kitchen. It is FRIENDS of Never Seconds" kitchen. That's us. "We are delighted to inform you that Martha Payne has been selected by our judging panel as a finalist in this year’s JustGiving Awards based on your nomination. We have informed your nominee and invited them and guest to join us at the JustGiving Awards 2013 ceremony." Wonderful post. Somehow it feels like the end of a journey, yet the kitchen will provide for many children for many years to come. Congratulations. My mom told me about you. You are doing great work! Fantastic job! Well done Martha and to all the persons that helped you. Thank you for reminding us that each of us can make a difference in this world. Wow, Veg. I first read about you in Muse Magazine and I was totally inspired. Jamie Oliver tweeted you. Wow. Its so awesome that you cared so much about those Lirangwian children. I live in Maine, U.S.A. and I eat pretty healthily. My mom packs me lunch so I don't have to eat the school lunches. Based on what I saw on your blogs, yours are way better quality that mine! Just keep on doing what you're doing and never give up! @Amelie: That's how I found out about Martha too! I loved how she didn't just sit there and cope, but she took a stand. Good job Martha!